R1234YF is the new freon. Since 2014 car manufacturers have been slowly converting to R1234YF. By 2021 all new vehicles sold will come with this feon. At the end of 2016 there were already 20 million vehicles on the road with r1234yf. It is not compatible with R134. Your R134 machine cannot be usd to service R1234yf. You need or will need a R1234yf compatible machine to service these vehicles. Viking offers the Robinair AC1234-4 and AC1234-6 at lowest prices! AC1234-4 saves you money if you do not need a printer. Ideal for General repair shops. Viking always has the best Price on this fully automatic bestseller! Oil Inject: Automatically inject oil back into the vehicle’s A/C systems. Visual & Audible Alarm: Notifies the user when service is complete, or if a problem has occurred. 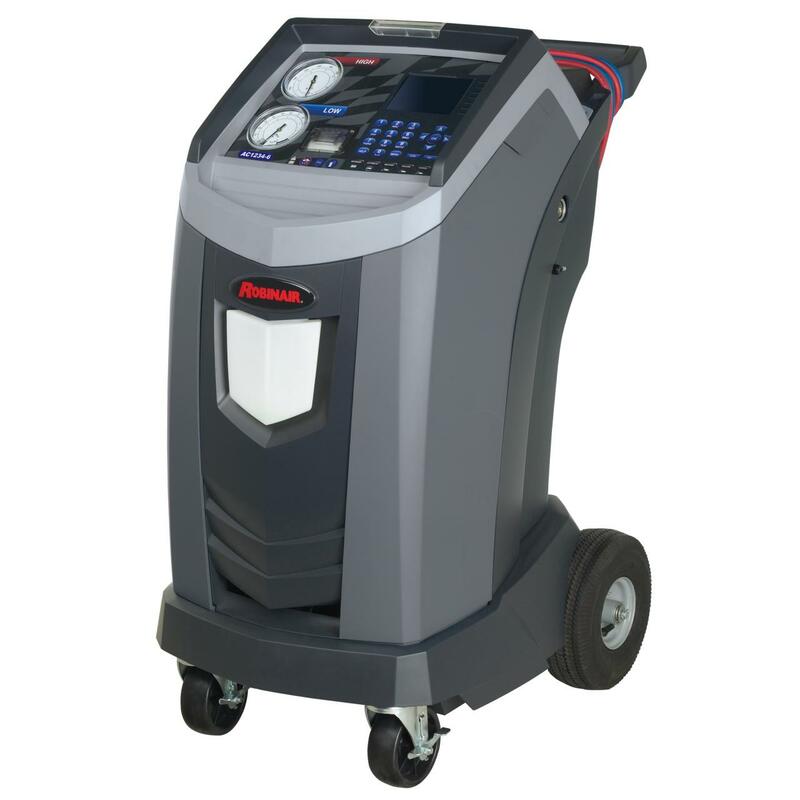 Automatic Air Purge: Eliminates system-damaging air without monitoring gauges or opening valves. 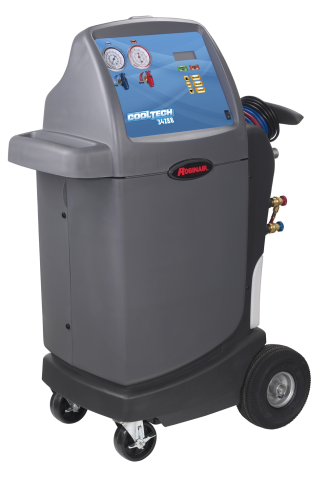 Refrigerant Charging: Select a charge mode from high or low side, or use both sides. The same great machine customized for Hybrids. Of course we still have the best price! Save & print before and after service data: Allows the user to store before and after service information by vehicle and print this information to provide to a customer. Electric Vehicle: Capable of servicing high voltage electric compressor A/C systems. Robinair quality at an affordable price!